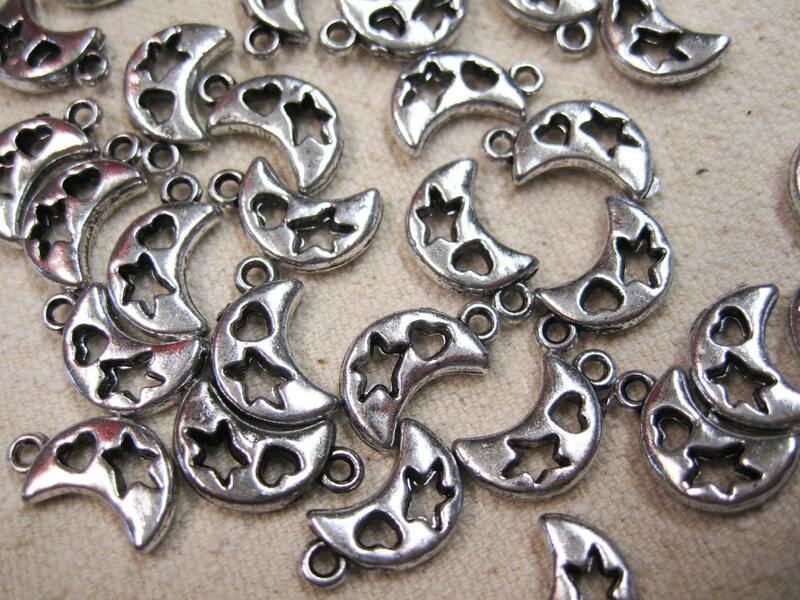 20 Antiqued silver-finished polymer plastic moon charms, 16mm x 10mm double-sided. Give jewelry designs a metal appearance without the weight. These are have a very lightweight style.